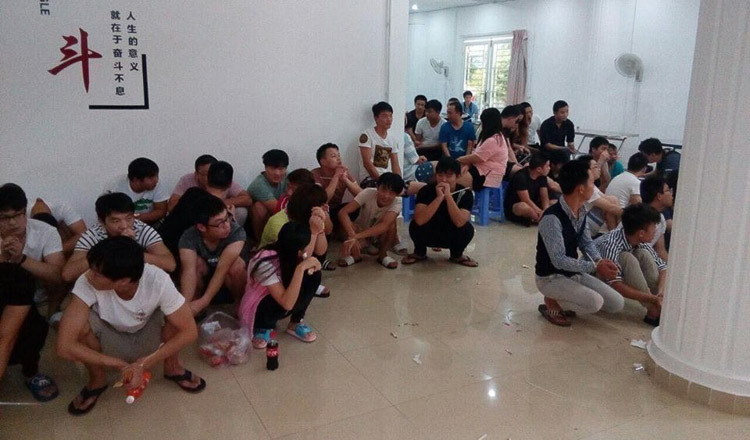 One Chinese man was arrested and five others are being sought for Voice over Internet Protocol (VoIP) scams committed inside a rental house in Preah Sihanouk’s Bey commune on Monday. 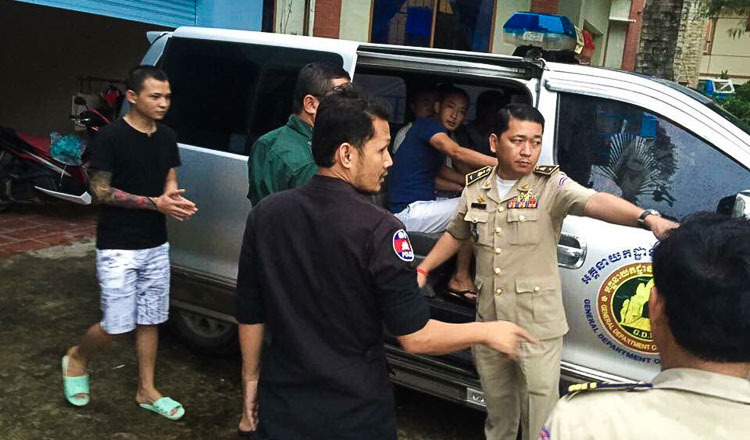 Chief of the Preah Sihanouk police immigration office Khun Sorithy said the arrested man, Wang Chao, 30, had been sent to court, while police are still searching for the five who escaped. “We already sent the one who was arrested to the court this afternoon, while we are investigating how to arrest the others,” he said, declining to comment further. According to a police report, the group was targeted for online extortion and gambling. 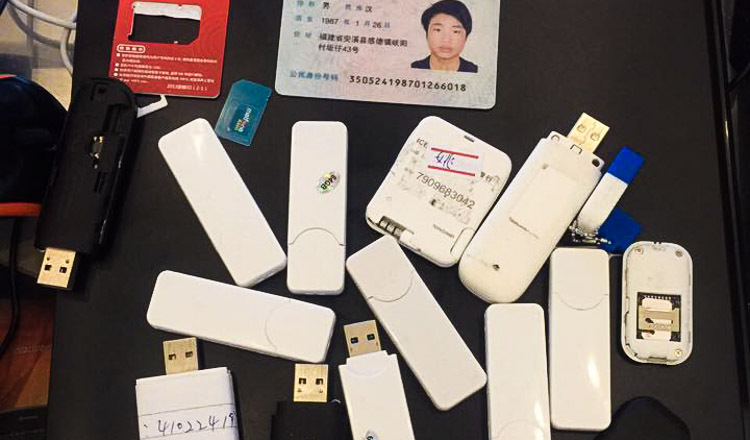 A number of tools were confiscated from the property, including three laptops, several USB flash drives, SIM cards, and two black and gold Lexus SUVs. A prosecutor who also joined the operation said all of the men tried to climb over a gate, but one could not make it and was arrested. 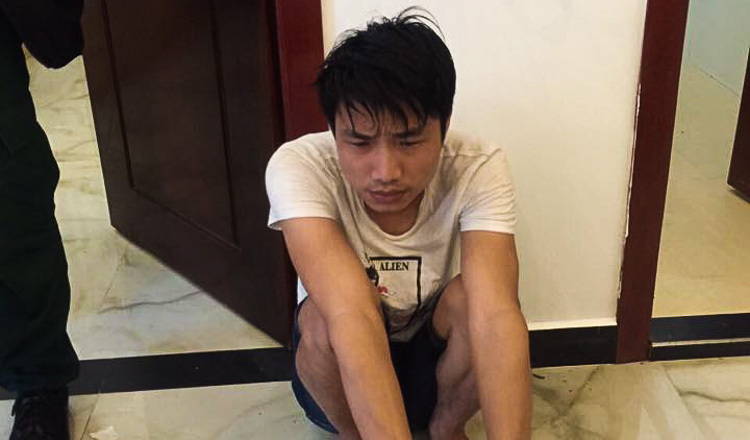 “We could arrest only one because when the immigration police officers raided the house, they jumped over the wall at the rear of the house, but a metal bar on the gate was broken and one of the men dropped down, injuring his hand, so he was arrested,” he said. 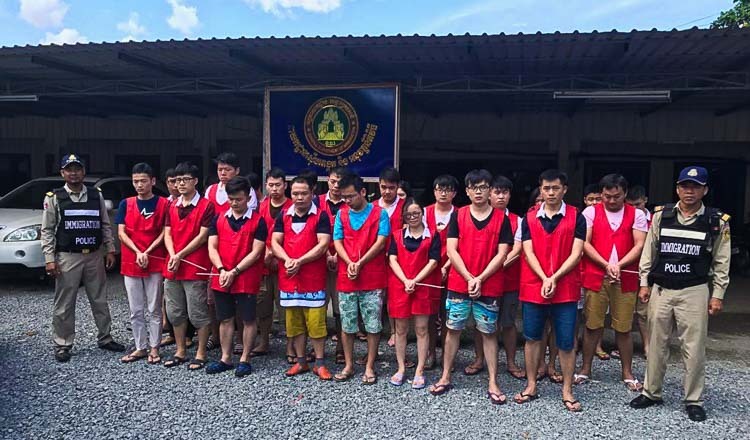 Early this month, more than 200 people were arrested in two guesthouses along the Cambodia-Thailand border in Banteay Meanchey province for VoIP scams. 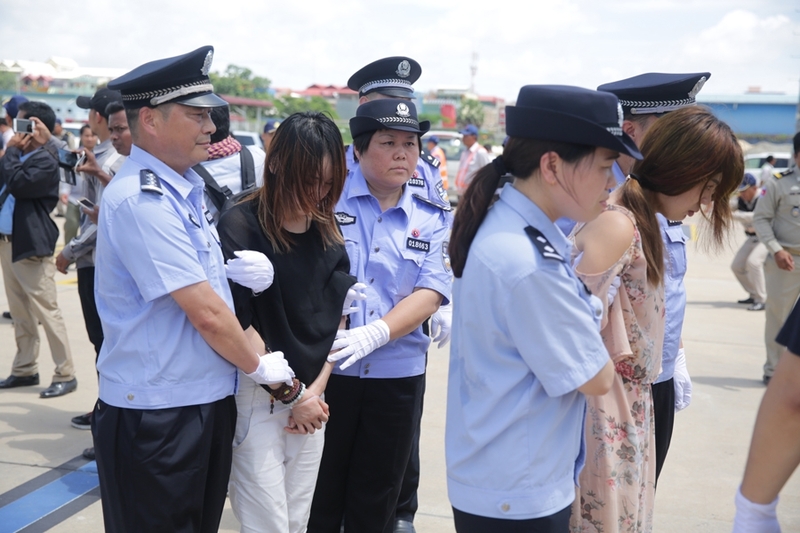 On August 17, anti-terrorism police arrested more than 300 Chinese nationals in a single Tuol Kork district apartment block on suspicion of operating telecom scams to extort victims in China.